Mere mortals beware, there's a dark cloud that looms, judgment day is afoot and Doom is your worst nightmare. Born in Kingston, Jamaica, Doom moved to England permanently in 1980. From a young age he had a love of sporting competition, especially cricket. He gained his first physical education and personal training qualifications whilst serving with the British Armed Forces. It was through the army that Doom was able to recognise his potential as an athlete and would attempt any competitive sport. Leaving the army he went on to pursue a career with the Physical Education Branch of the Metropolitan Police, where he established the rehabilitation department. Representing Great Britain in Bobsleigh for over seven years, Doom is also an enthusiastic runner, and has competed in the 400m hurdles at county level and has completed a half-marathon. He's also wrestled at Olympic standard. In 2008, Doom began the journey in training to be a stuntman, this gave him the opportunity to feature on shows such as The Bill, EastEnders, Holby City, Whistle Blower and his first speaking role on Spooks. His modeling career began several years ago when he was signed by MOT Model Agency, since then he has posed for Argos, Inter-sports, Tesco, Ultra-Fit, Sky and more. 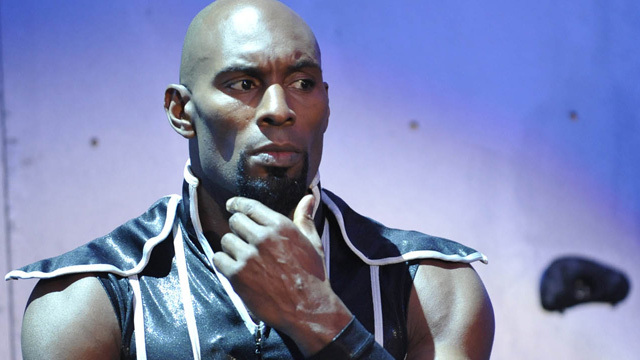 Doom was one of two reserve male Gladiators for the first series of the Sky1 relaunch. He was initially going to be known as Stealth but when he became a fully fledged Gladiator in Series 2 he became the evil Doom! Nowadays, Doom and his girlfriend Enigma (they met whilst Bobsleighing at the 2005 World Championships in Canada) pass on their knowledge and experiences to young people through school projects and workshops. They also run their personal fitness company Pace & Go where they encourage everyone to 'Be All You Can Be! '.